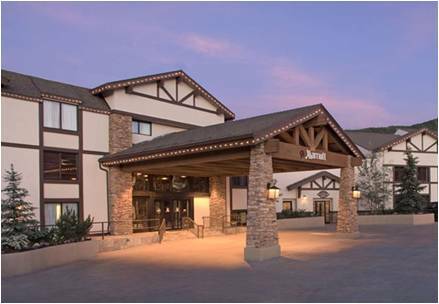 SITAR’s 16th annual conference will be held in Park City, Utah from May 31st–June 1st 2013. This year’s meeting holds an historical significance for SITAR. In 1998, Snowbird, Utah was the site of the first annual SITAR conference. This conference was the first of its kind to be entirely devoted to interpersonal process and it was hosted by Lorna Benjamin, a founding member of SITAR. We are delighted to announce that the 16th annual SITAR conference will begin on the day following a special event. A Festschrift in honor of Professor Benjamin is being planned for May 30th. This event will be sponsored by the Psychology Department of the University of Utah, and held at the SITAR conference hotel. Further details about this day-long event will be forthcoming. We hope you will consider attending this special event in addition to the upcoming SITAR conference. The deadline for SITAR conference proposal submissions will be on February 15th 2013 and notice of decision will be given by March 1st 2013. 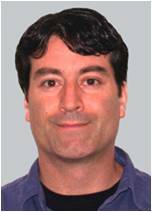 Sandro Sodano will serve as the chair of the conference and can be contacted with any questions about submissions (smsodano@buffalo.edu). Please note that the proposal submission process has been moved online this year (see Call for Submissions). Information about the conference can be found online at (http://sitar2013conference.weebly.com). We look forward to seeing you in Park City! Park City (http://www.parkcity.org) and the surrounding area are best known for winter activities—Utah Olympic Park and several area ski resorts were hosts to the 2002 Winter Olympics. However, nestled in the Wasatch Mountains, Park City also has a thriving summer season, as well. SITAR’s conference will be occurring near the close of the “shoulder season” marking the transition between the winter and summer tourism seasons. This means that all of the breathtaking scenery that Park City and the surrounding area have to offer can be enjoyed at very modest rates. Park City is an historic silver mining town that was founded in 1869. Park City was transformed into a world class resort area as host of the 2002 Winter Olympics. Today, Park City's Historic Main Street remains the site of quaint shops, art galleries, fine dining, and bars and night clubs. Park City provides free shuttle bus service (running daily every 20 minutes) between the conference hotel site and Main Street as well as to the majority of the area’s sites of interest. 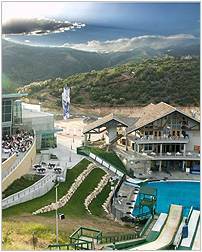 Park City is a short ride (30 – 40 minutes) from the Salt Lake City Airport. The greater Salt Lake City area includes a variety of attractions, and is the location of the University of Utah. Park City and Salt Lake City are great vacation destinations in and of themselves, but they are also a great starting point for extended tours of Utah’s many National Parks and other attractions. A particularly attractive location, about 4 hours from Salt Lake City and Park City is Moab, Utah – home to Arches National Park, Canyonlands National Park, and world class outdoor activities (hiking, backpacking, rock climbing, mountain biking, and leisurely touring, as well). Links are provided for those who may be interested in extending their SITAR trip to include a vacation in the surrounding area. Tim Smith of the University of Utah and long-time Park City resident (tim.smith@psych.utah.edu) would be happy to provide informal consultations about travel, restaurants, lodging, and outdoor activities for anyone interested in exploring the surrounding area. Your contact information is required when submitting a proposal. You will also need to provide the names of all co-authors and their affiliations. A limited number of travel grants for SITAR graduate student members will be available. To apply for a travel grant, check the box “Consider me for a SITAR Graduate Student Travel Grant” during the online submission of your proposal for the annual conference. An applicant will need to be a graduate student member of SITAR or become a student member in order to be considered for an award. Link goes here. To be considered for the Wiggins Research Award, students should indicate their desire to participate by checking the box for the phrase “Enroll me in the Wiggins Award Competition” during the online submission of your proposal. Please see the conference website for more information on eligibility. Link goes here.